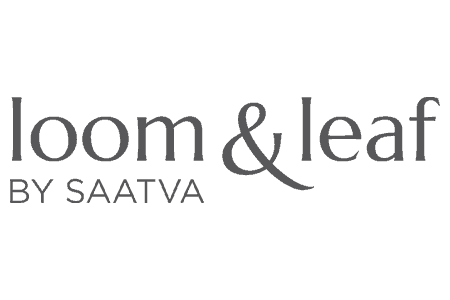 Loom & Leaf and Saatva are the two mattress manufacturers that will be explored in more depth in this comparison. The mattress that you prefer will come down to your own personal preferences. Make sure that you have a clear understanding of what you’re really looking for in a mattress prior to beginning this guide. The biggest mistake that prospective owners make is not understanding their own preferences. Both mattress makers are only relatively recent entrants to the foam mattress industry. They’ve entered the market to help provide a cheaper alternative for those who are seeking high-end foam mattresses for their homes. Make sure to consider all the information in this review prior to making a decision. And remember, we have tons of reviews on our website for you to check out if you don’t feel that either of these mattresses is the right fit for you. While Saatva has targeted foam mattress lovers, the mattress they produce is actually not entirely foam – it is a hybrid. It uses a unique coil-on-coil design to create a truly comfortable mattress that has been raved about by many past customers. The company is only a relative newcomer to the industry, but it has managed to make significant headway in a short amount of time. Saatva offers some benefits that exceed competitors by quite significant margins. For example, they are currently offering a 15-year warranty on all their mattresses, which is a significant warranty considering that the industry standard seems to be around 10. Secondly, they provide a 120-night money back guarantee, again which is longer than most mattress makers in the USA. The only downside is that you have to pay $99 for shipping inside the United States. As with any mattress, this layer is put in place for comfort. It is the only layer that you will have direct contact with when you sleep. This is actually a pillow top layer that provides the perfect amount of comfort – quite a different approach to the Loom & Leaf mattress. This is constructed using memory foam – the use of different materials is what makes this mattress a hybrid. This layer is extremely thin – this is done to ensure that the mattress stays breathable. Many memory foams end up retaining too much heat to maintain comfort. This is where the coils come in. 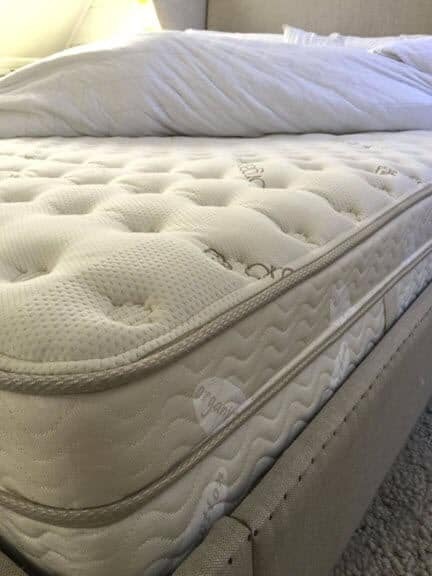 This layer consists of small coils rapped in foam – this allows the mattress to provide additional responsiveness, but doesn’t let you feel as though you are sleeping on a spring mattress. There are literally hundreds of coils on these mattresses. This is the last layer that makes up the mattress. Unlike the first three layers, this layer is all about support. It is also made from coils, except these ones ensure that there is a greater degree of firmness present in the mattress. The way that the mattress is designed allows for much better edge support than traditional mattresses. Edge support is what makes the side of your mattress slightly stronger than the interior – it’s needed if you want to ensure you don’t roll off the bed! Saatva has done a great job at creating a unique cover that differentiates itself significantly from many of its competitors. Many of the new mattress companies have been using polyester and other artificial materials to create their covers. Saatva on the other hand has decided to commit to using organic cotton to make up their cover. This means that the cover is way more fire resistant – which can be a great trait when you consider how dangerous polyester can be with heat. This is actually a similar material used by Loom & Leaf, so both of these manufacturers have taken a new spin on their mattress covers. This is the mattress with the most support on offer. They are able to achieve this by using higher-density foam on some of the larger levels of foam. This means that there is more support – added firmness prevents too much sinking from occurring. After testing, we determined that this support level comes in at 8/10. This is the next most firm option – it comes in the middle of the three options available through Saatva. This mattress type is slightly more firm than the least firm option. It is a great choice for those of a normal weight distribution that don’t want something that will meet them with too much resistance. We have determined that the support level for this version of the mattress comes in at around a 6/10. This is the least supportive mattress that Saatva offer but it also happens to be the most comfortable. This mattress prioritizes having the softest and most resistance-free interaction with your body. It’s only really an option for those who are of a normal weight or underweight. This support level comes in at 3.5/10. As you can see, each of these mattresses varies widely in terms of support, you have a great deal of choice when it comes to which mattress is most suitable to you. Loom & Leaf have created some of the nicest new mattresses on the market. 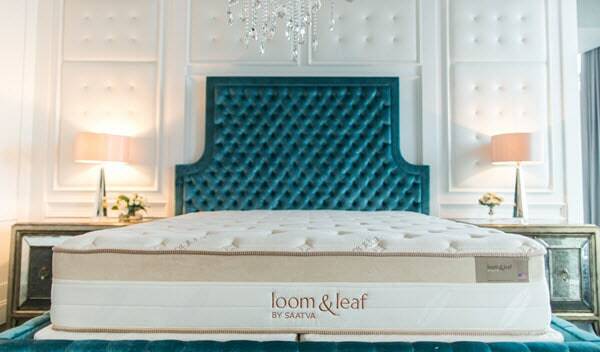 Unlike the Saatva mattress, the Loom & Leaf is a foam mattress that does not utilize coils. Loom & Leaf is considered one of the more expensive manufacturers out of the newcomers, but it is still relatively cheap compared to other market leaders. All their mattresses are also made right here in the United States of America – they’re firmly committed to hiring USA based workers. Like Saatva, Loom & Leaf has a 15-year warranty, which is about five years longer than the typical mattress company. In addition, they offer a 120-day money back guarantee, just like Saatva does. You will have to pay for shipping though, so make sure to factor this into your costs. This is the layer that provides both the comfort and breathability for the mattress. It is 2” thick, and is made from a high-end gel based foam which does a great job of providing hug and contour to the body. It also does a great job at preventing heat retention – a rare trait in many modern foam materials. This layer is made from visco-elastic memory foam – it is also in place to provide the sleeper with as much comfort as possible. This layer is 2.5” thick – fortunately, the top layer prevents the memory foam from taking in too much heat, which can be a big problem with other memory foam mattresses. People call this the buffer layer – it is in place to make sure there is a transition between comfort and support. It is made from 2” of loft pad. This layer is the thickest – it comes in at 5.5”. This is one of the most important components of the mattress – it provides the support for the rest of the mattress. 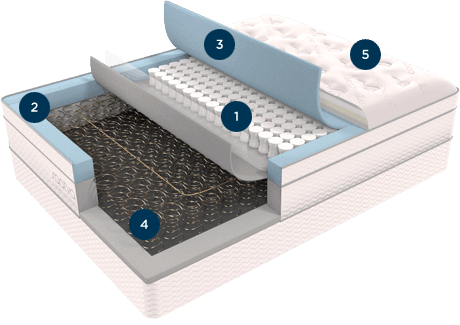 High-density foam is used in this mattress to ensure that there is plenty of firmness on hand. Like the Saatva mattress, the Loom & Leaf mattress cover is made from organic cotton. It also has a large amount of natural thistle in it to help with various components of the manufacturing process. As mentioned previously, this material is extremely fire-resistant, which an awesome advantage to have if you’re worried that a polyester cover may be too flammable. The only downside is that this mattress cover is thicker than most normal mattresses. This means that it may retain more heat and may take away from the natural feel of the top layer of the mattress. Unlike with the Saatva mattress, you only get one choice of mattress type if you’re going to get a Loom & Leaf. But don’t worry, the support level available is typically suitable for most sleepers. We’ve run tests and determined that the Loom & Leaf mattress comes in at around a 5.5/10 – which is similar to that of the middle Saatva mattress. The Loom & Leaf mattress is also very comfortable. It provides a great deal of hug without letting you sink too far into the mattress. In addition, it is very breathable. The only downside is that the mattress cover can sometimes retain a bit too much heat. You can get a different mattress cover from an independent provider if you find this to be the case. If you are a heavier sleeper, the Loom & Leaf might not be the right mattress for you. At a 5.5/10, it just doesn’t have the support you’ll probably need to have a good night’s sleep. Both of these mattresses are excellent choices for those who want a unique luxury mattress. Although they come in a bit pricier than some other online mattress providers, they’re still much more affordable than mattresses such as Tempurpedic. They also come with much longer warranties than most mattresses on the market. The mattress that is best for you will depend on your preferences. Saatva does have a large advantage in the fact that they offer three different mattress choices. In addition, they also come in slightly cheaper across the board. 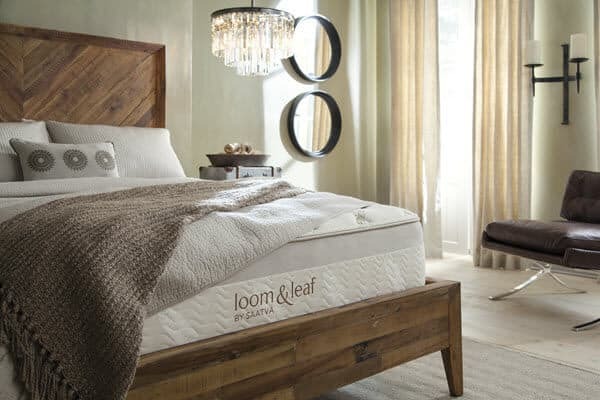 This being said, Loom & Leaf has a great reputation with their customer base, and have been one of the most popular mattress retailers online this year.